Acme TraceART v3.87 is converters & optimizers software developed by DWG TOOL Software. Raster to Vector converter, which can high-speed convert raster bitmap into vector image. it supports such all kinds of image format as BMP,JPG,TGA,TIF,PCX etc. 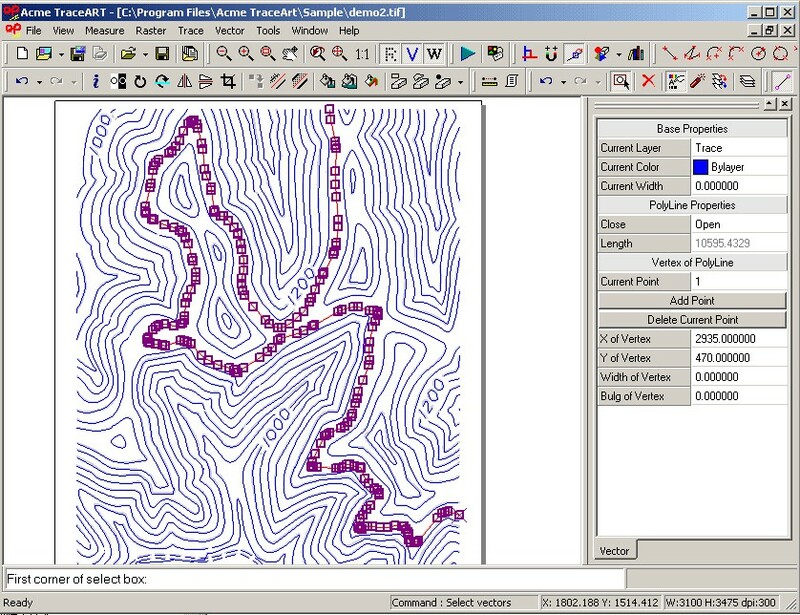 The output format of the vectorgrah supports DXF, WMF, and HPGL at present. 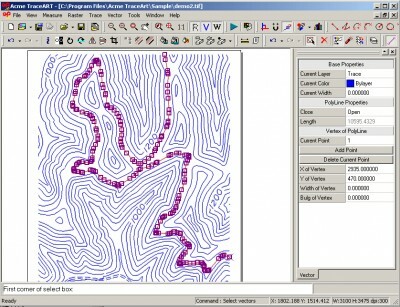 Target vector formats are supported by most CAD applications that use vector graphics, such as AutoCAD and Corel Draw. This graphic apps software is shareware, which means you can download and use Acme TraceART v3.87 for free during the trial period (usually for 30 days). At the expiration of the period you will have to buy the converters & optimizers product for $79.50. Acme TraceART v3.87 is available at regnow and DWG TOOL Software website. Acme TraceART v3.87 supports English interface languages and works with Windows 98/XP/Vista. We have tested Acme TraceART v3.87 for spyware and adware modules. The software is absolutely safe to install. We has completely tested converters & optimizers software Acme TraceART v3.87 many times, written and published the interesting article and uploaded installation file (1825K) to our fast server. Downloading Acme TraceART v3.87 will take minute if you use fast ADSL connection.